Spring has officially sprung! It’s time to get out and about, unveil that ghostly skin to the sun and soak up the vitamin D (don’t go too crazy, pack the SPF). We’ve chosen our five best team building activities to harness the stunning beauty of Sydney in Spring. Discover the hidden parts of the city with the Amazing Race Sydney. Your exuberant hosts, who are also professional actors, will get the ball rolling with some tongue-in-cheek personality profiling. It’s a fantastic icebreaker activity, but can also tell you a lot about the strengths and weaknesses of your teammates; information that could lead you to glory! Teams must then navigate their way around the city, finding checkpoints, hitting roadblocks and completing tricky challenges. Just like the television show, the Amazing Race Sydney is a game of sabotage, skill and luck and all in all a hilarious romp. Teammates will find themselves bonding without even realising it. The race ends at a bar of your organiser’s choice for a hard earned drink. The Amazing Race is great for large groups and is guaranteed to leave your team feeling energised. 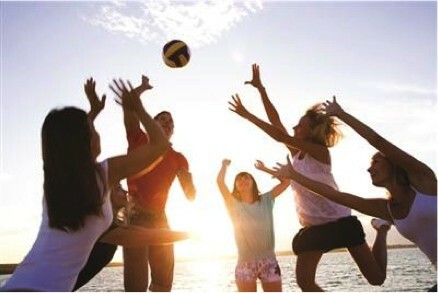 As we are lucky enough to have some of the world’s most beautiful beaches, your company should make the most of them with the fantastic team building activity Beach Olympians, a physically challenging, but incredibly rewarding corporate event the whole team will love. Arrive at your beach of choice, already set up into an obstacle course, and zinc up! Beach Olympians requires everyone in your team to take on different roles, meaning each individual has a chance at leading. The level of difficulty can be adjusted for your particular group and the activities themselves range from high to low intensity, so don’t worry, your boss wont be judging how well you manage 4 hours of beach sprints. The range of activities and roles allows for some really effective team building. Teammates will have to lead, follow, delegate and communicate all with a lot of laughter. Beach Olympians is ideals for groups between 20 and 250, so go on, hit the surf! 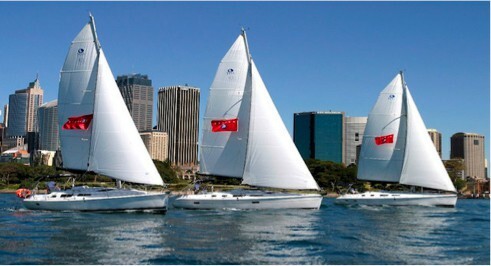 Enjoy all the fun of being a pirate minus the scurvy with Sailing – Treasure hunt on Sydney Harbour. Like the name suggests, your team will be learning how to steer a beautiful yacht around the Harbour to find the buried treasure! Sailing is the ultimate team building activity, no one person can steer a yacht by themselves (well, unless they’re Jessica Watson) and it takes strong leadership, communication and teamwork skills to head in the right direction. Teams get awarded an envelope when they reach their destinations. Each envelope contains a question and a letter. In true treasure hunt style, the letters are apart of a larger clue – they spell out the final destination – the beach that holds the treasure! Teams race to the X on their treasure map to uncover some serious booty. After the treasure has been dug up and the winner has been announced, teams make their way to Darling Harbour for a gourmet lunch to cement the wonderful team building experience. This event is fully customisable for the most appropriate and rewarding activity for your team. 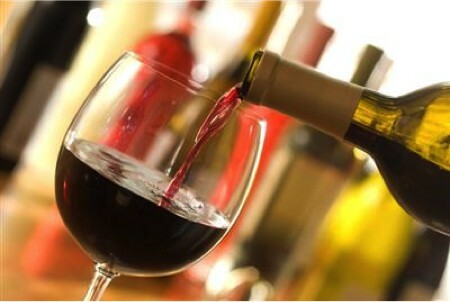 Wine and cheese tasting is a fantastic team building activity for those who enjoy the finer things. It’s also an amazing test of the practical application of your team building experience. Unlike the previous, action intensive activities, wine blending sees your team creating something they can take with them. This corporate can be moved to a conference room if making all the way to the Hunter Valley isn’t possible. This corporate event has it all; archery, races, catapults, bamboo towers, laser clay shootings and the great sports challenge! The best part is it’s fully customisable, from the location to the activities, you can cater it exactly to your specific team. If you’ve just had a long indoor conference, the invigorating outdoor corporate event, Carnivale is the antidote! Get everybody moving, laughing and competing in a series of fun, fresh activities! Make the Most of Sydney in Spring! There you have it, our top picks for Corporate events in the spring. So get out there and enjoy the amazing spring weather and check some of the sites around Sydney. Remember, if you need any help or advice planning your event just get in contact with the team at Team Building Made Easy!